theAd>> this is the only piece of stone on earth! from China. it is not a painting !! 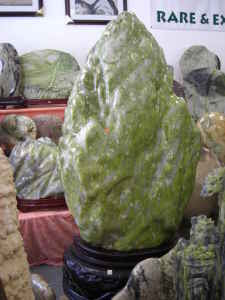 We are saling 100% real nature stone, factry in Chian. we will have all product pic on line in a month!! soon! every piece stone is real and only one on earth!! we can ship it to you if you love it!! Um, I don't know how to tell you this. Every Continent on earth has stone. Although they don't all look like a big booger. I am not sure why you need a "facrty in Chian" if the stone is all natural. What's it cost to ship a Giant rock from Chian, you know, if you love it? Cause really, who doesn't love a big, heavy, all natural nose monster? HAHAHAHAHAHA This is so bizarre.